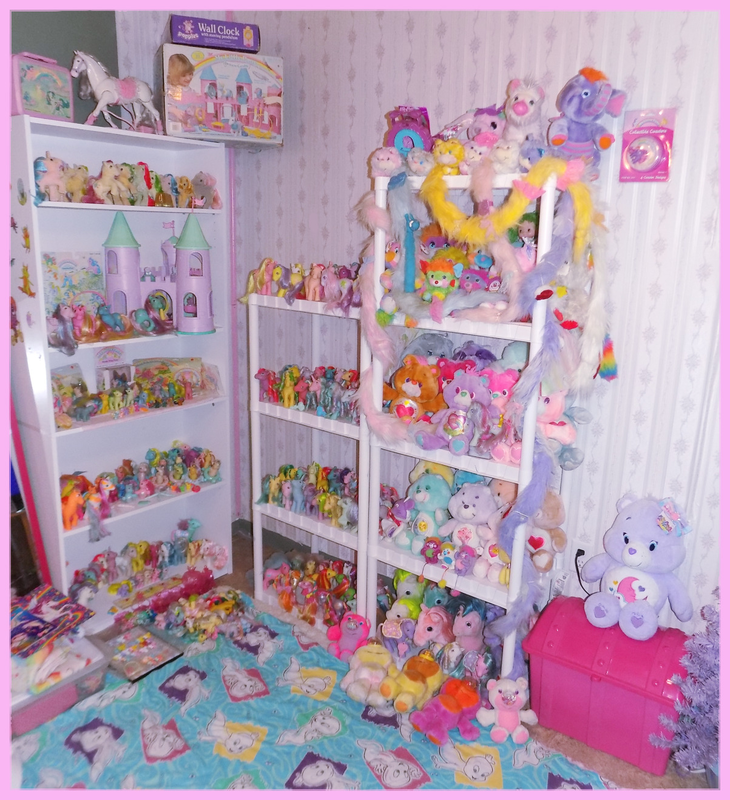 My toy collection could be compared to a lot of fairy kei rooms, because I ADORE pastels and the more sparkly, shimmery and "girly", the better I collect everything from vintage MLP to Furrever Friends to Yum Yums, but my absolute most treasured collection is my Castle Keeps Gargoyles, though I only have three thus far. 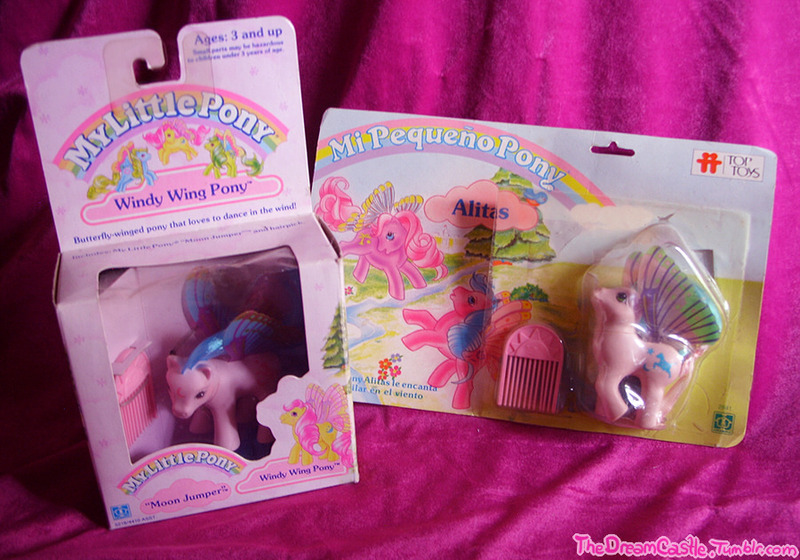 You can see more MLP pics at my MLP Tumblr, The Dream Castle and other 80's/90's toys at Glowing Magic. Gorgeous first pic, I adore the colors there. Also like the MLP in the box still and the room picture just as the last one cause it is such a colorful display there that fits together. But cna I ask what the bunnies are in the right? And the horsie between the Pokemon? And behind the horsie the little pink ? kitty? Hello, I'm new here and collect Cabbage Patch Kids. The ones I collect are the 20" TRU dolls, focusing on the 'head molds'. Trying to figure out how to upload a picture of my collection. That's okay, there are times I don't check in either every week here Already glad you still take the time to answer. 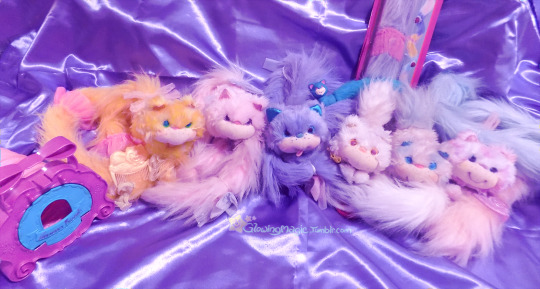 and the little white and yellow kitty to the right?